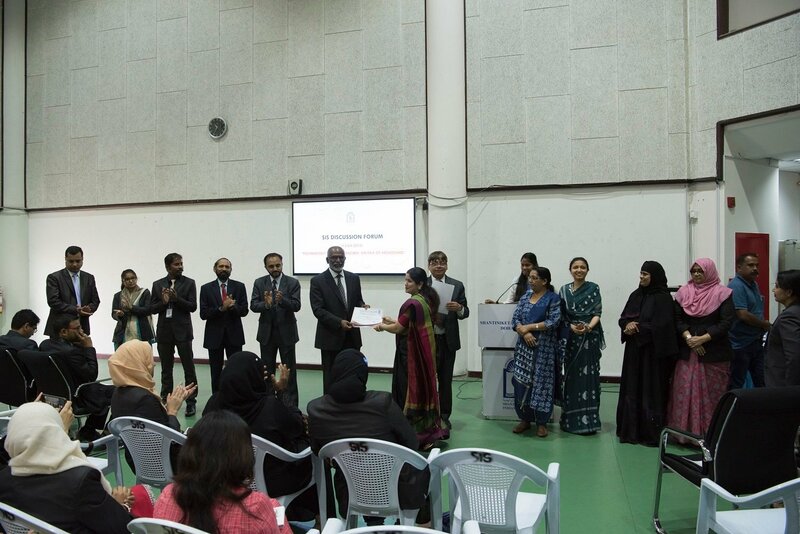 SIS won the first position in the Qatar National Environment Day, organized jointly by Ministry of Environment, State of Qatar and the Indian Cultural Center. 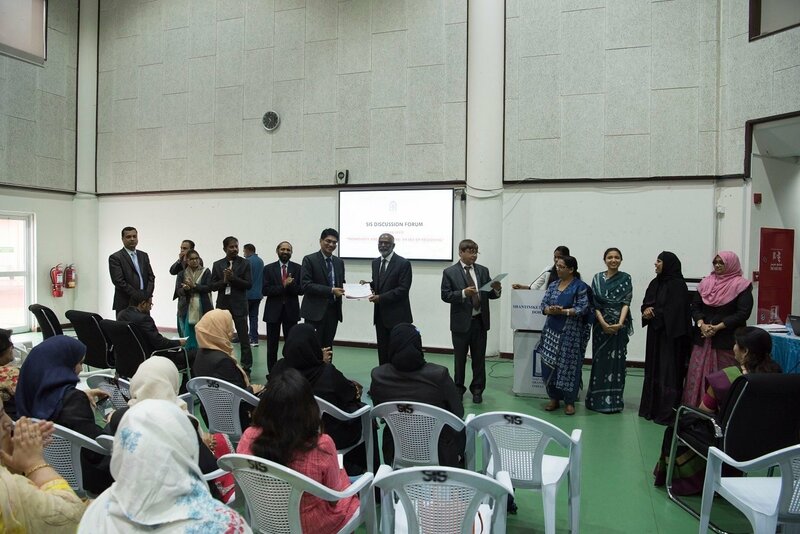 Team SIS received the award from H.E. Ahmed Amer M-Hemaidi, the Minister of Environment in a grand function held at Diplomatic Club, west bay. Awareness Campaign within the school included seminars, exhibition, peer teaching and ‘no plastics’ campaign. Staff participated in the awareness March on Qatar National Day. 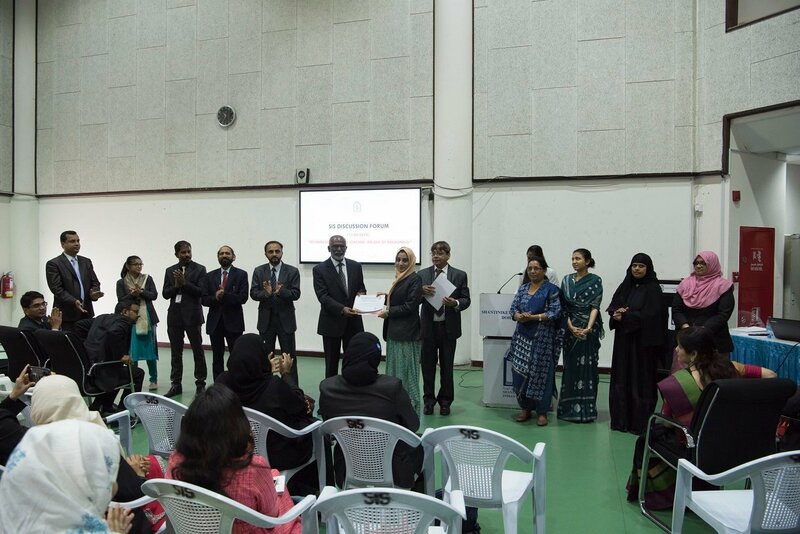 SIS team participated successfully in all the parts of the campaign and outscored other Indian Schools. 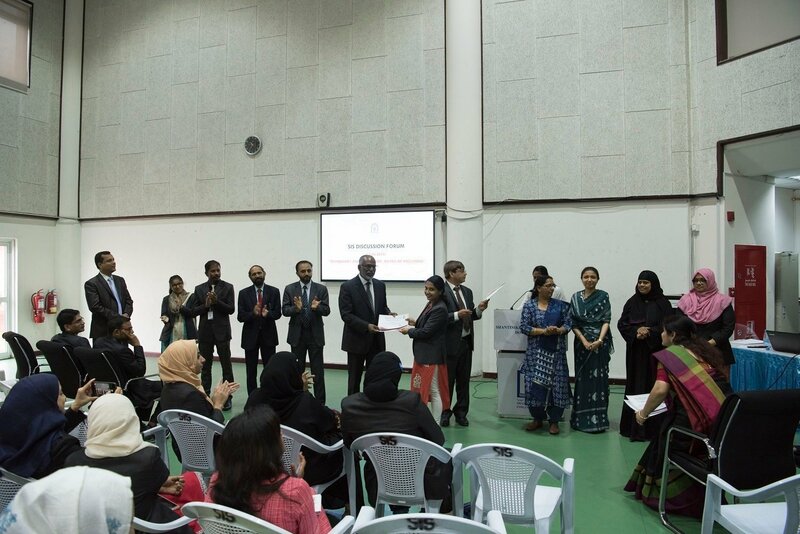 The School Management congratulated the team of staff and students for their excellent performance and commitment in attaining this glory. 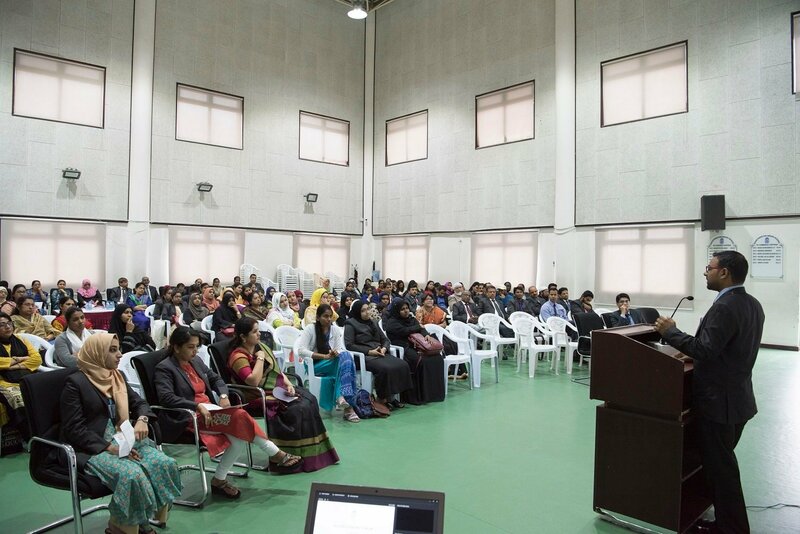 To mark the Qatar National Environment Day, the Ministry of Environment, State of Qatar & the Indian Culture Centre jointly organized environmental competition for the teachers of the Indian schools in Doha. Thanks to the hard work done by the team SIS, SIS emerged as the winners. SIS secured first position by winning 85 points out of 100. 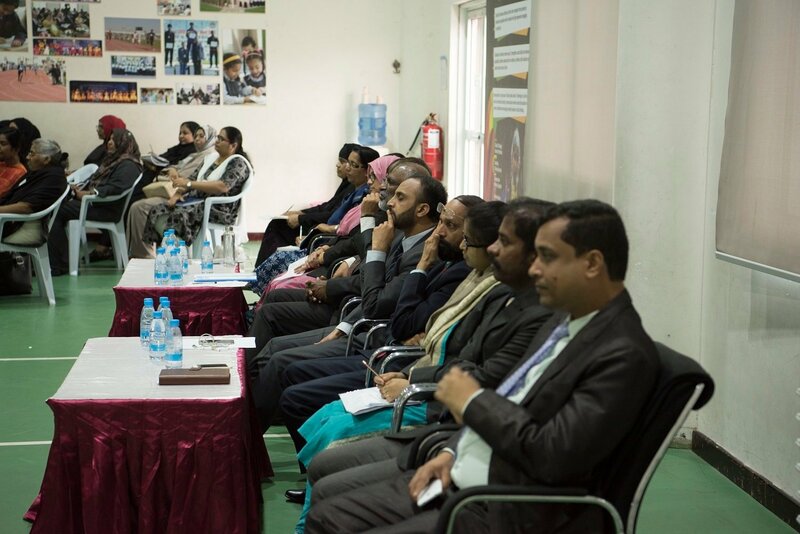 Evaluation was done by a panel of judges (8 members) headed by Eiman Al- Marzouqi , a Civil & Environmental Engineer- Qatar Shell. Team SIS received Ministry of Environment trophy & Ambassadors Rolling Trophy from Ahmad Amer M Al- Hemaidi, Minster of Environment, State of Qatar in a mega function held at Diplomatic Club, West Bay on 26th February 2015. 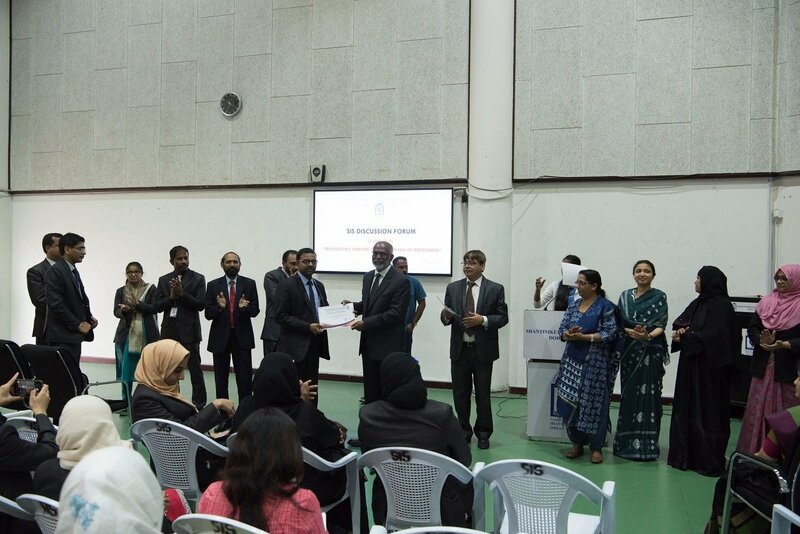 The representatives of Indian Embassy, officials of the Ministry of Environment and representatives of all the Indian Associations affiliated to ICC were present in the award ceremony. 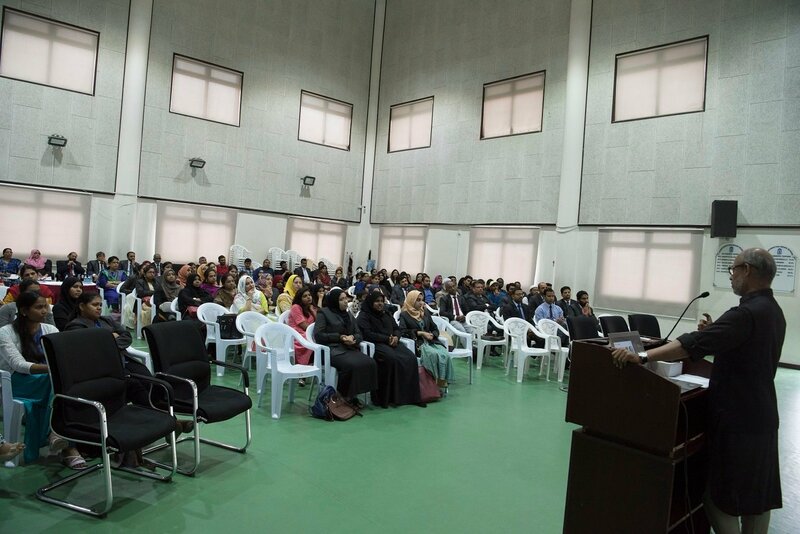 An environmental exhibition was held at the school campus on 17th February 2015. The main intention behind this exhibition was to popularize the culture of reuse and eliminate the use and discard habit. This one day mega exhibition, displayed hand-made objects, models, decorative items, art & craft, posters, paper bags, drawings and paintings on environment by the students of grades III to VIII. Household goods and school materials which goes a mere waste like paper , water bottles, cotton wool, glass, cardboard, sharpened pencil waste etc. were used to create decorations, wall hangings, flower vase and many handmade craft items. 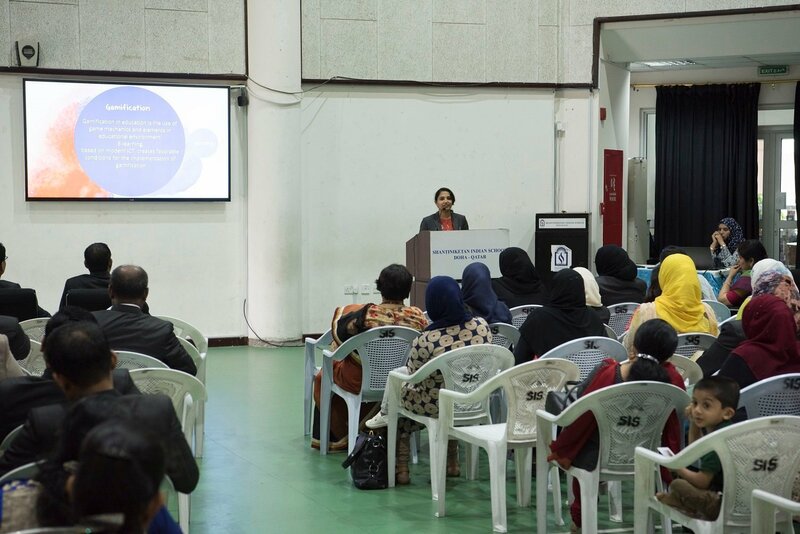 With an aim to bring awareness among the students against the use of plastic bags, a workshop on ‘Paper Bag Making’ was conducted on 12th February 2015. The activity took place in various classes and the students from standard third to Eight participated. They made beautiful and eco friendly paper bags. The students made a pledge that they must use these bags during their shopping instead of plastics carry bags. A group of enthusiastic students from different sections named Rehbana Habeeb (VIII A), Syeda Sidra (VIII E), Ftahima Najeeb (VIII E), Roohiya Murshid (VIII C), Hiba Muhammed Ashraf (VIII A), Amal Shabna (VII E), Hamna (VII E) and Sharbeen (VII E), visited the other classes (VIII to X) on 10th February 2015 with right motto and conducted peer teaching focusing the need of protecting the environment and preserving our precious resources. They equipped themselves with charts and Power Point Presentation to highlight the topics, ‘How to Save Water’, ‘How to Save Energy’, and thereby preach the idea of ‘Clean Campus’. 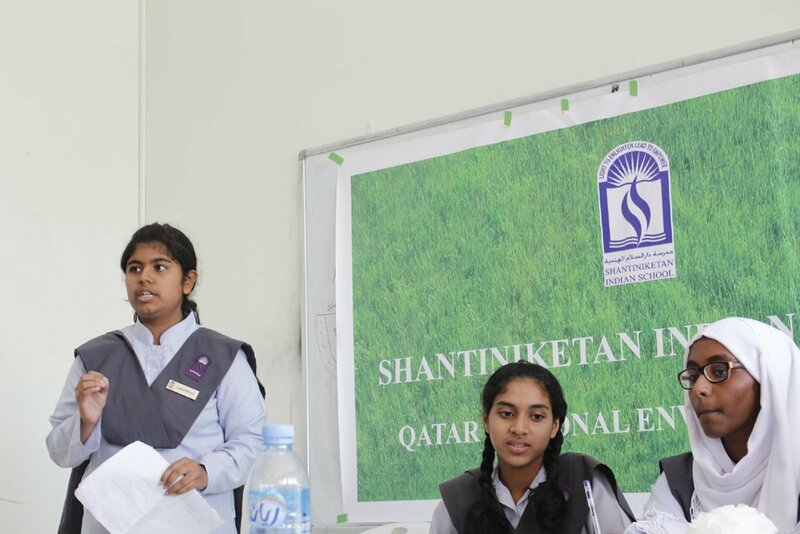 To enrich students the knowledge about the different aspects of the sustainable development and to convey them the message of the need and importance in practicing sustainable way of development, Students of Shantiniketan Indian School organized a seminar on ‘Sustainable Development’ on 18th February. Fariha, a student of Grade VIII E, was the moderator. Three papers were presented based on the three important aspects of the sustainable development. The first presentation was done by Sharlet, a student of Grade VIII C. The title of the paper was ‘Sustainable Developments- A best choice to save the Earth’. Crisellea Fernandes, a student of Grade VIII C, presented a paper entitled ‘Environmental Sustainability’. 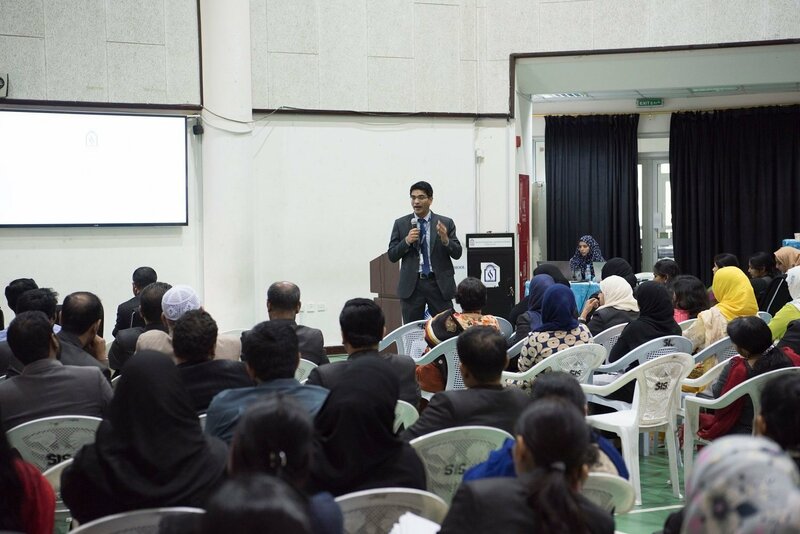 In the third presentation, Thameem, a student of Grade VII D, highlighted the different aspects of Economic and Social Sustainability. 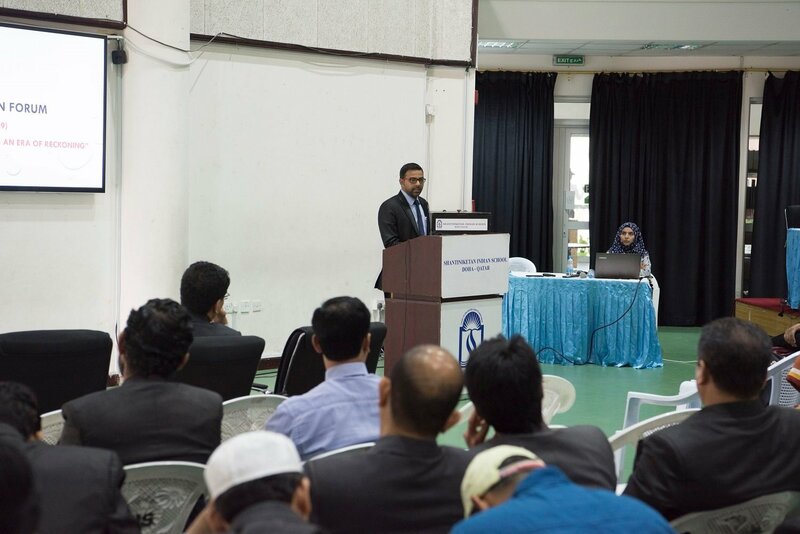 The seminar was concluded with the remarks of the moderator. 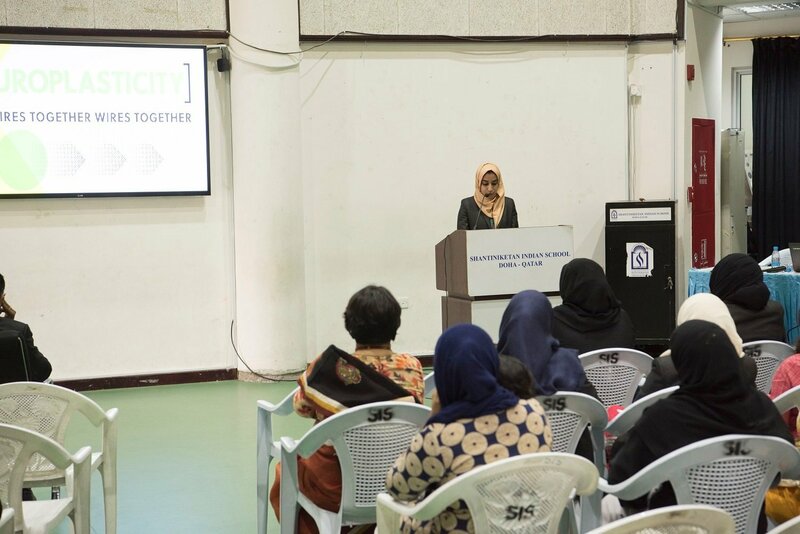 Munthaha, a student of grade VIII E, welcomed the delegates while Fareeha, a student of grade VII, proposed the vote of thanks. 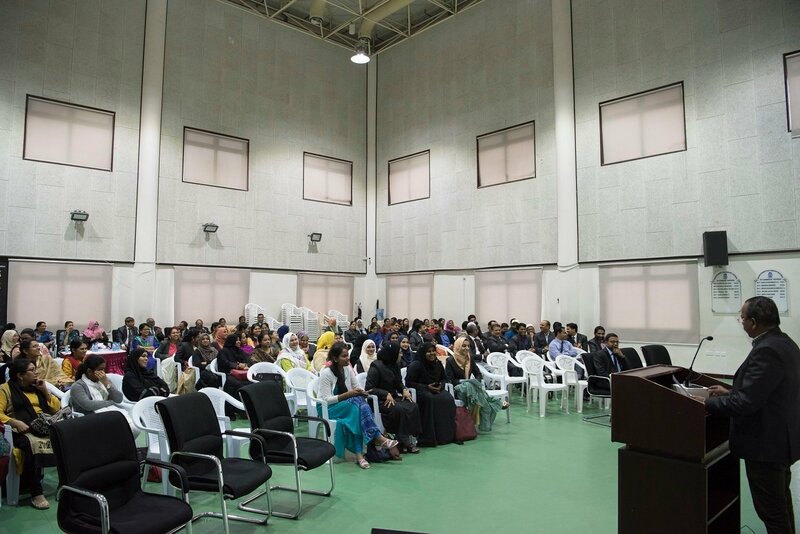 A group of students which included Tabarak Gulrez(VII C), Faiha (VII D), Alishba (VII B) Sana Sulaiman (VII B), Hassan (VII B) & Bharath (VII B) initiated a Green City campaign to help cities in Qatar to become more sustainable and reduce their carbon footprint on 17th February 2015. They focused on three key elements – buildings, energy, and transportation. 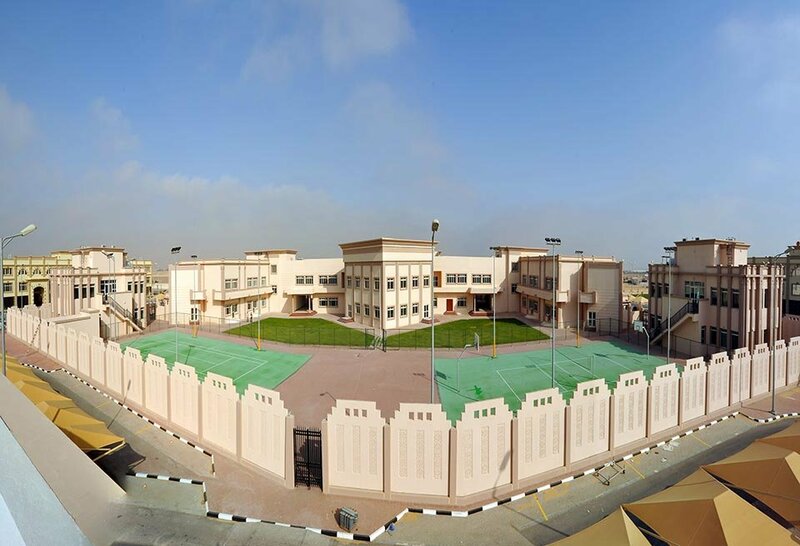 The campaign aims to help the school community to play their role in transforming cities into a cleaner, healthier, and more economic friendly. 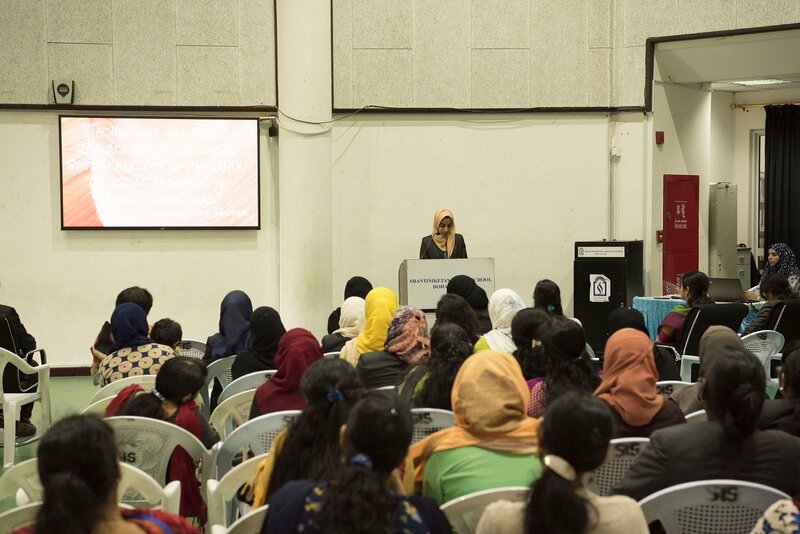 Another group of students ( Hiba Yousuf (VII D), Kaniz Fathima (VII C) Criton (VII D) attempted to popularize the Gandhian values as a best strategy to combat the current environmental issues. As part of its environmental commitment, Shantiniketan Indian School is on its way of paperless revolution since 2014. To run a paperless school is real challenge. Books, exams, circulars, memos, teaching notes, lesson plans and office documents etc. are part of students and teachers life. Tons of paper we use and misuse in the life. No one thinks of the destruction it causes on our environment. In order to save the paper and reduce printing, manpower & space by making most of the information exchange & storage in the electronic form which is more secure and long lasting. Shantiniketan Indian School Website is a virtual place where the members of the school community, including students, teachers, parents, alumni and well-wishers meet. SMIS was introduced in August 15, 2014. It is complete school management software. 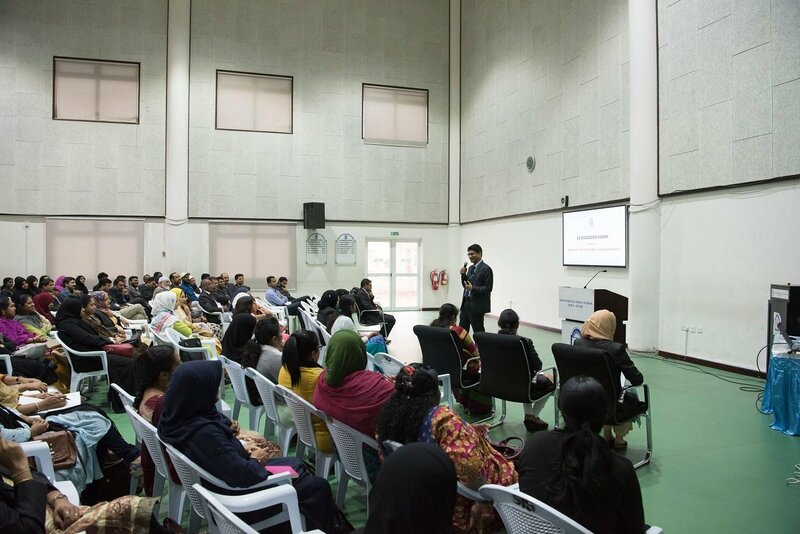 It is a platform for connecting Management, Administration, Parents, Students and Teachers. SMIS helps to significantly reduce your operating cost by automating laborious task of searching different information about students or staff from the physical records for the day to day operations that are repetitive and time consuming in nature. SIS E-Learning Portal a real landmark in the history of the school is developed and being updated by SIS teachers. The students can make use of this portal, for learning and preparation of assessments. Students can avail their study material and worksheets as well as attend SIS online test. This way 90% paper use is limited in last one year. 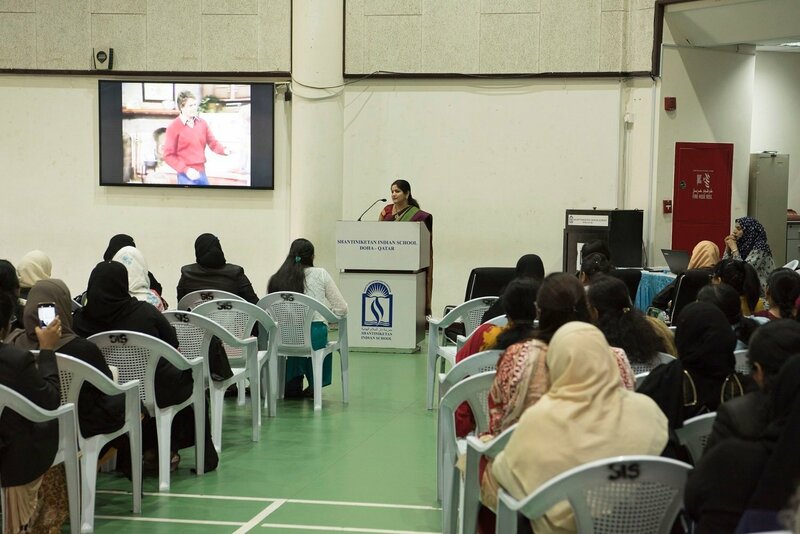 In 2014, the school has introduced Multimedia based teaching Aids. All class rooms are installed with LED screens, Projectors and internet facilities. SIS is a fully WIFI accessed campus. 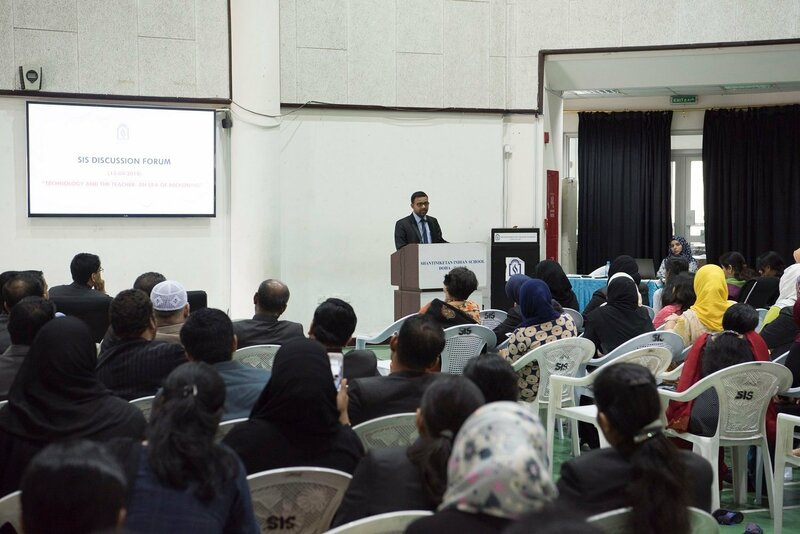 The school has installed Teach- Next, which is a digital learning system enabling the process of Teaching and Learning more engaging and easy. Part 2 was (Participating in the awareness March held on March on Qatar National Day, 30 Points). Total 30 volunteers participated in the awareness march including teaching and non teaching staff. Part 3 was nominating of two teachers as volunteers. (10 points) Mr. Jamal M.P. 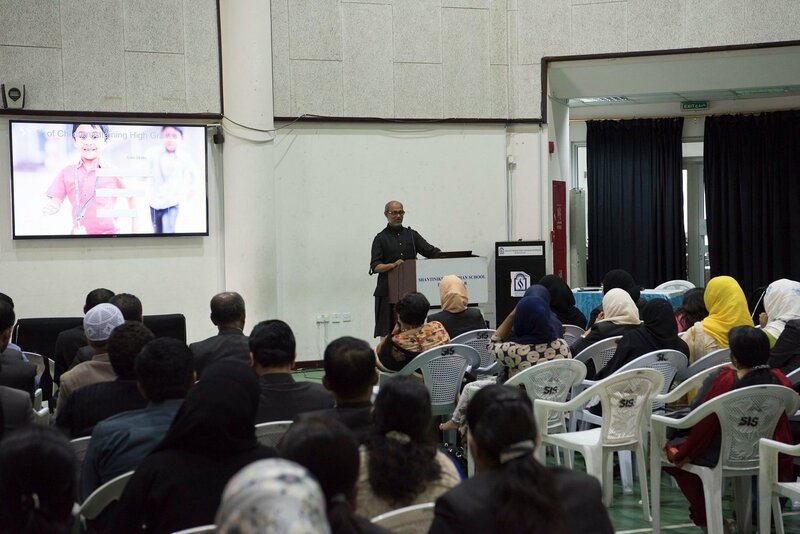 & Mr. Adam Sheikh had been nominated as volunteers. This great achievement was the result of team work done under the wise guidance of Dr. Subash Nair, Principal of Shantiniketan Indian School. Chief patrons of the entire events were. Dudley O’ Connor, Vice Principal of CBSE I. & Mr.Shihabudeen Pulath, Vice Principal (Academic). 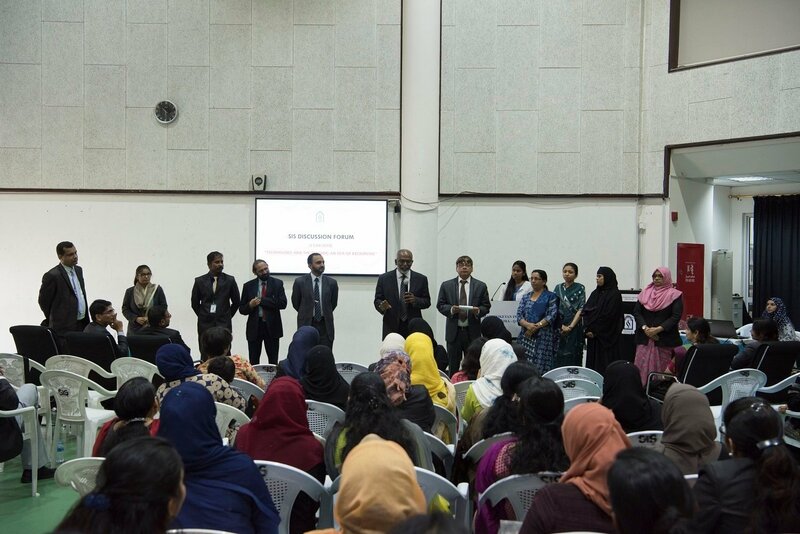 The faculty members, Jamal M.P, Mr. Adam Sheikh, Ms Carol, Mr. Saleem, Ms. Amritha, Mr. Noufal, Mr. Sandeep, Ms. Rasiya Muneer, Mr. Sijo, Mr. Shyam Krishna, Ms. Shoby, Ms. Purna, Ms. Ritu, Mr. Abbas, Mr. Sajeesh Kumar, Ms. Sujithra, Ms. Kavitha, Ms. Krishna Kumari, Shameem KV, Mr. Nishanth, Ms. Fathima Rizna & Ms. Nazneen contributed effectively.